Over the past few years Top Trumps Club has been very successful. The children get to play this fun and exciting card game. They enjoy sharing information they have learned from different packs that have been played. Sometimes children just like to sit and chat about the day they have had. It is a very calm and relaxing club where all children feel that they can be successful! 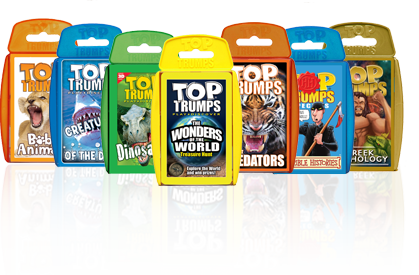 As well as being great fun and as popular as ever with primary school children, parents and teachers also love Top Trumps as it delivers a range of educational benefits through 'camouflaged learning'. The National Children's Bureau (The NCB) carried out some research on the National Schools Top Trumps Tournament and found that Top Trumps does help children improve their basic numeracy and literacy, as well as help them gain and deepen their knowledge on the subject matter covered in the pack.